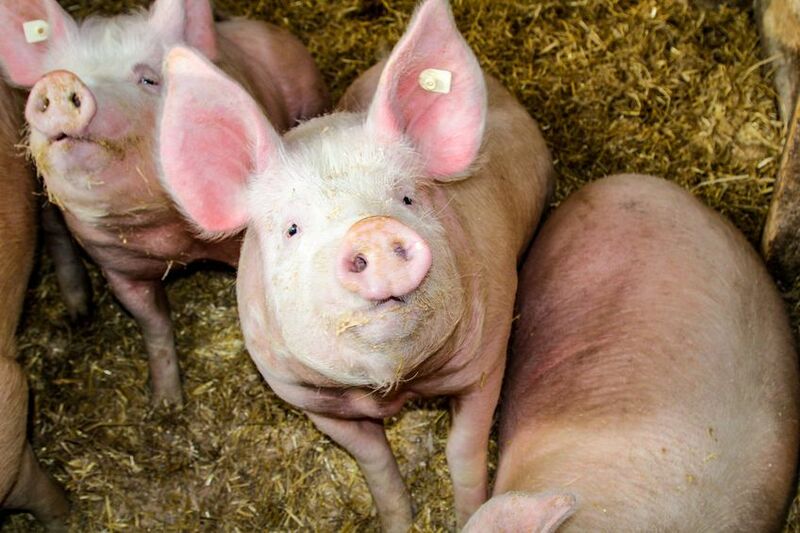 The government could cause 'untold damage' to the British pig sector if it waives tariffs and checks on imports in the event of Brexit no deal. The Cabinet has been discussing how the UK’s tariff regime would look if the UK leaves the EU without the Withdrawal Agreement in place. Cabinet Ministers, including International Trade Secretary Liam Fox, have made it clear the UK is considering a regime of zero or low tariffs on agricultural food imports to try and keep food prices under control. Yet UK exporters would face full EU tariffs and border delays on a wide range of products if we exit without a transition period in place. The National Pig Association (NPA) said this scenario would place many pig businesses in an 'impossible position' where they would be unable to compete with cheap imports and undermine the industry’s capacity to produce British pork. NPA chief executive, Zoe Davies said: “The NPA has always said we see opportunities from leaving the EU, as long as the trading conditions are fair. But a zero-tariff would not be fair and would be a kick in the teeth for the UK pork sector. “It would be the worst of all worlds, putting enormous pressure on businesses already operating under the tightest of margins. “It would jeopardise the future of pork production in the UK, increasing our reliance on imports. We strongly urge the Government to consider this as it finalises its policy,” she said. A report by AHDB published last week spelled out the implications for the pig sector of this uneven tariff regime. It concluded that export tariffs would make UK pork uncompetitive on the EU market. In particular, the important sow trade to Germany would become uneconomical and, with few alternative outlets, this would potentially create practical problems on farms as well as damaging producers financially. It notes that while the UK could apply reciprocal tariffs on pig meat imports from the EU, this would force up domestic prices, which may be unacceptable to consumers. But if the UK decide against imposing tariffs on EU pig meat imports, tariffs on imports from non-EU countries would be removed as well under WTO rules. This increased competition for domestic producers could exert further downward pressure on UK prices. NPA senior policy advisor, Ed Barker pointed out that existing EU quotas could enable the UK to continue exporting to the EU for a few months after the UK leaves, though friction to export trade processes will always remain. “If, at the same time imports are waved in from across the world with minimal checks and zero tariffs, this will create an unfair and destructive trading environment. “We have seen government outline a brighter future for British agriculture, allowing us to produce more high quality, traceable food in the UK. A no deal Brexit undermines all of that,” he said.